You’ve been accepted onto a university course in Vienna, but still need to take the supplementary German test? No problem: our German Course for the Viennese University Preparation Program will prepare you both quickly and effectively. Didactic skills from one of Austria’s leading further education providers and plenty of support mean you will even be able to master dealing with bureaucracy. From registration right through to passing your test. With top qualified trainers to prepare you for your supplementary German test. When, where, and what you’ll need. 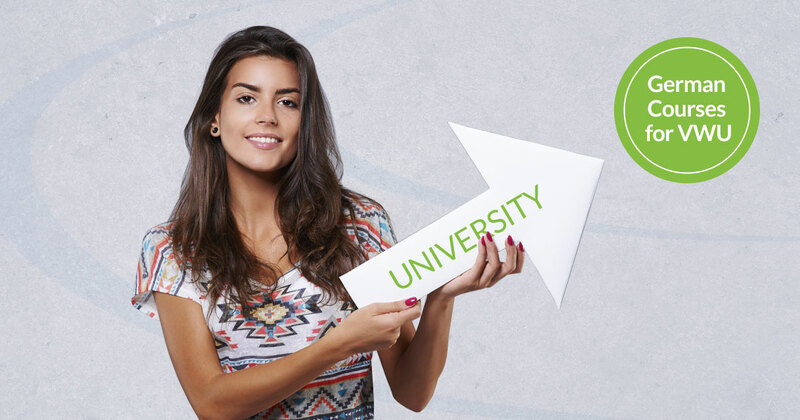 Being allocated the right course level guarantees success. Why you should take the German Course for VWU at die Berater®. Our online learning network makes learning easy! Clear answers to frequently asked questions about our German courses. We are a leading company in Austria, focussing on further education and training in languages, soft skills and IT. Since 1998, we have trained 350.000 participants. Trust in our experience and expertise in the provision of German language courses: As a testing centre for the Austrian German Language Diploma (ÖSD) and a certified provider of German integration courses, we know how to efficiently teach languages to reach a defined language level within a short time.